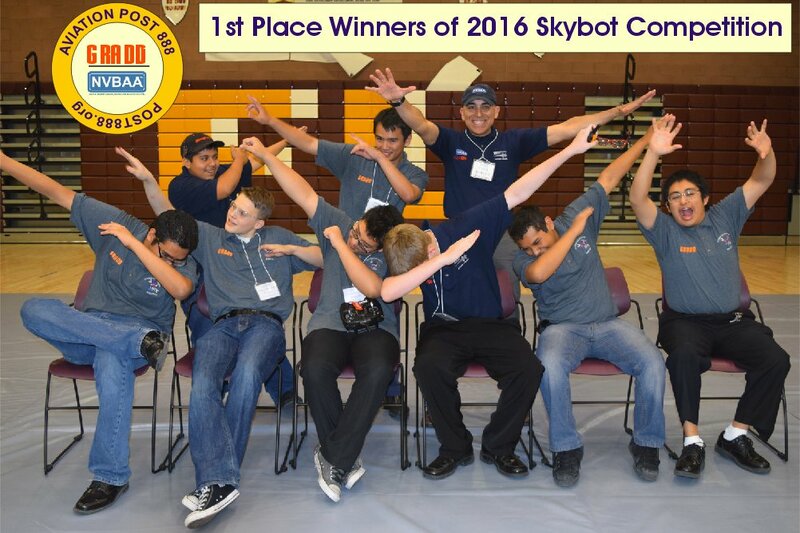 Skybot Challenge is a local organization that provides STEM focused curriculum in the areas of small Unmanned Aerial Systems (sUAS), autonomous systems, rotorcraft applications and entrepreneurship. 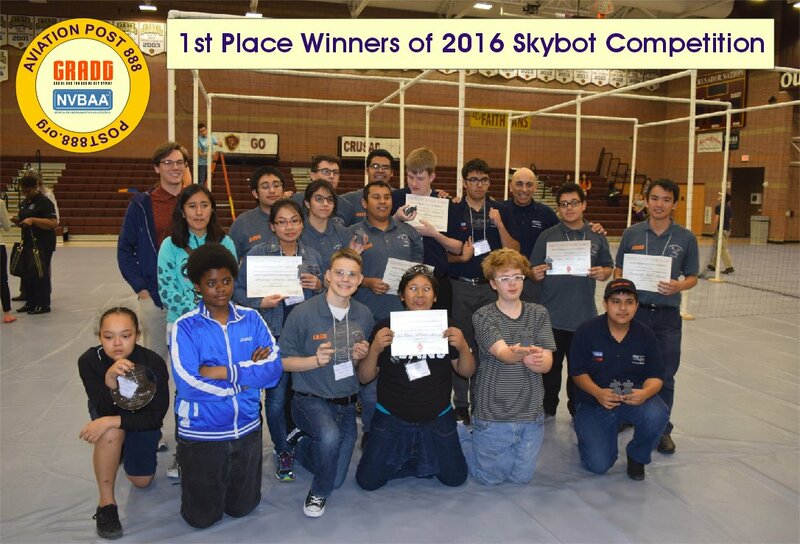 This 2016’s Skybot Challenge objective was to build a hook system onto a drone that can pick up game pieces/packages and place them on a target scoring area. The team with the most points proceed to semi-finals and beyond. Our winning alliance included 3 teams, the Aviation and Robotics teams from Sunrise Mountain High School and the Robotics team from the Andre Agassi College Preparatory Academy. These 3 teams worked hard alongside one another, building, and testing the drones and creating a winning strategy.